Crawford County United Way is heading into its annual allocation season and is seeking applications from local nonprofit human services agencies and organizations for fund distribution throughout 2019-2020. Last year, Crawford County United Way (CCUW) distributed funds to nine local human services agencies as well as presented the eighth LIVE UNITED Community Service Award scholarship, supported Project Graduation, Grayling High School RoboVikes, Kids Day in the Park, 2-1-1 Northeast Michigan Call Center, helped our neighbors with free discount prescription drug cards through our FamilyWize Community Service partnership, and helped employed low-income people get free eye examinations through VisionUSA. The mission of the United Way movement is to increase the organized capacity of people to care for one another. Through a single community-wide campaign, United Way volunteers raise funds to support local agency service providers. The CCUW’s 2019-2020 funding base continues to need a boost. “Even with the increased fundraising efforts, we’re going to have a difficult time meeting agency funding requests. Support from businesses and individuals is needed more than ever,” Ruley explained. Agencies applying for funding from Crawford County United Way must be a nonprofit charitable health and human service organization, fully describe their array of services, demonstrate how they meet local needs, and prove their cost-effectiveness and accountability to the community. The board of directors makes the decisions about how the funds will be distributed. The board assesses our community’s human services needs, meets with service providers to discuss funding requirements when necessary, and approves the funding level for the various programs and agencies. To receive an application, beginning March 1, 2019, email crawforduw@gmail.com and request an application, which will be sent via email. The deadline to submit applications is April 1, 2019. Call (989) 350-4462 with any questions. Donations should be sent to CCUW, P.O. Box 171, Grayling, MI 49738 or via our secure PayPal Donate button at www.crawfordunitedway.org/give. All donations are tax deductible and stay in our community. Main Sponsor: Midge & Co. Also sponsored by our friends at: BC Pizza, Spike’s Keg ‘O’ Nails, Tip’n the Mitten, Grayling Restaurant, Grayling Auto Repair, and 98.5 UPS radio station. With our April 1 deadline just days away, Crawford County United Way is hoping one final fundraiser will boost its 2017 Allocation Fund to a more comfortable level. Each year, Crawford County United Way (CCUW) invites local human services agencies to apply for funding to help reach their program goals in areas such as health, nutrition and education. Importantly, the process of reviewing these applications serves this community well by monitoring needs versus resources, and keeps CCUW in touch with changes and trends. 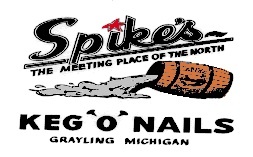 On Wednesday, March 22, 2017, from 5 p.m. to 8 p.m. at Spike’s Keg ‘O’ Nails in Grayling, CCUW will hold its 6th annual LAST BLAST Celebrity Server Night. All tips and 10% of all food and non-alcoholic beverage sales will be donated to CCUW by Spike’s. Celebrities that evening will include Chad Patterson of Acting Up Theater Company, Grayling High School senior Seth Patterson, Hayley Strohpaul of Grayling Regional Chamber of Commerce, Rae Gosling of Grayling Main Street, Heather Tait of AuSable Canoe Marathon Committee, and Ashley Tobias of Tahiti Tans. Diners are encouraged to “hassle the help” and tip them accordingly for the cause. Crawford County United Way is heading into its annual allocation season and is seeking applications from local nonprofit human services agencies and organizations for fund distribution throughout 2017-2018 in Crawford County, Michigan. Last year, Crawford County United Way (CCUW) distributed funds to eight local agencies in as well as presented the sixth LIVE UNITED Community Service Award scholarship, supported Project Graduation, Neighborhood Connections, Kids Day in the Park, 2-1-1 Northeast Michigan Call Center, helped our neighbors with free discount prescription drug cards through our FamilyWize Community Service partnership, and helped employed low-income people get free eye examinations through VisionUSA. The CCUW’s 2017-2018 funding base continues to need a boost. “Even with the increased fundraising efforts, we’re going to have a difficult time meeting agency funding requests. And, with even more of our neighbors and friends in need, support from businesses and individuals is needed more than ever,” Ruley explained. Agencies applying for funding from Crawford County United Way must be a charitable health and human service organization, fully describe their array of services, demonstrate how they meet local needs, and prove their cost-effectiveness and accountability to the community. To receive an application, email crawforduw@gmail.com or call (989) 350-4462. The deadline to submit applications is April 1, 2017. It’s time for the 13th Annual Snowmobile Fun Run! Hosts: Swamp II – Frederic, The Keg – Waters, Mama Leone’s – Gaylord, Dead Bear Brewery – Grayling, and Tinker’s Junction – Grayling. Main Sponsor: Black Diamond Broadcasting 98.5UPS. Also sponsored by our friends at: Grayling Auto Repair, Jansen Insurance Agency and BC Pizza. Join us for a few hours o f well-deserved relaxation before the hectic holidays on October 12, 2016 with Wine Tasting and doTerra Essential Oils at the AuSable Artisan Village, 219 E. Michigan Avenue in Grayling. Nicole Mygrants, a doTerra Wellness Advocate, will talk about the many ways essential oils can make positive changes in your life, home, and family. The oils are all CPTG (Certified Pure Therapeutic Grade). We will each make a roller bottle of oils to take home and have an opportunity to order more, with a portion of the proceeds going to your United Way. Valley Mist Vineyards wines will be provided for your wine tasting experience and will also have bottled wine available for purchase with prices ranging from $11.49 to $36.99. There will be a door prize of wine and oils, too! Tell all of your friends and family. This is a great way to support your local United Way. COST: $25 and includes wine tasting, roller bottle and oils. To register: Leave a message here, call (989) 350-4462, or email crawforduw@gmail.com. PLEASE REGISTER BY OCTOBER 8, 2016. You can pay by check by mailing to: CCUW, PO Box 171, Grayling MI 49738 OR via our secure PayPal Donation Link below. You can use any major credit card or pay from your own PayPal account. When registering, be sure to include your full name, address, phone number on a piece of paper if you are mailing or on the PayPal donation form. You may also email the information to crawforduw@gmail.com. HURRY because space is limited! It’s time to kick off the campaign, again! Join us for our 5th Annual Campaign Kick-Off Spaghetti Dinner! One way or another, Crawford County United Way (CCUW) touches the lives of every person in our county. Whether it’s by helping provide a safe place for a child who is victim of crime, a safe night for high school graduates, putting a smile on the face of a hungry child or a senior citizen enjoying nutritious fresh produce, your neighbor receiving free medical care, a fun and educational opportunity at the library, museum or 4-H, disaster relief for victims of a fire, family and substance abuse counseling, or job training for special needs adults, your United Way supports them all. We all know someone who benefits, including our own family members. September is Campaign Kick-Off Month. Part of that campaign involves asking local businesses to make a donation and to participate in our Payroll Deduction Program, encouraging their employees to donate just a dollar each week from their pay. If 1,000 employees who live in Crawford County made this pledge, your local United Way would raise $52,000, which would be an incredible blessing to the efforts of the local agencies we support. We really appreciate all the businesses and employees who have supported CCUW over many years. Be assured, your care and generosity make a difference. 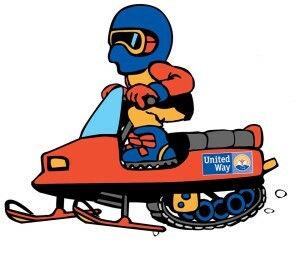 In June, Crawford County United Way allocated $19,075 to 11 local agencies for their work that supports our stated mission to “engage our local agencies to provide the measurable tools to impact the lives of the most vulnerable in our community.” From the data provided, these agencies help directly nearly 10,000 people combined. Funding sources are dwindling for many agencies and government programs have seen their budgets cut, as well. This is where Crawford County United Way can make a huge difference by raising more funds for distribution locally to help local people. Agencies receiving funding in 2015 were AuSable Free Clinic, Munson Grayling Hospital Patient Needs Program, American Red Cross, Crawford County Community Christian Help Center, R.O.O.C., Inc., Crawford County Library Summer Reading Program, G.R.A.C.E. Center, Crawford County Commission on Aging, Crawford County Historical Museum, Crawford County MSU-Extension/4-H, and Northern Michigan Children’s Assessment Center. We also support Project Graduation, Kids’ Day in the Park, Neighborhood Connections, and provide a local scholarship for community service. We work in partnership with VisionUSA to arrange free eye examinations for low-income workers, the FamilyWize Discount Prescription Drug Program to help with the cost of medicine, and support resource call center 2-1-1 Northeast Michigan. Please sign up for payroll deduction; make a monthly donation, or an annual donation. Participate in our fundraisers. Help us continue to help each other in our community. What’s raised here, stays here! 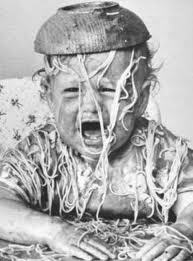 On September 23, our Campaign Kick-Off Spaghetti Dinner will be held at Fox Run Country Club from 5 p.m. to 8 p.m. The meal will be buffet-style, with fun and family-friendly entertainment by Chad Patterson and Acting Up Theater Company, and a silent auction. We are asking for a donation at the door of $10 per person/$8 with three canned goods or $25 per family of four/$20 with three canned goods. All canned goods collected will be given to the Christian Help Center for distribution. Please join us! For more information about our 2015-16 Campaign, our fundraisers, or to donate a silent auction item for the Kick-Off dinner, please call (989) 350-4462 or email crawforduw@gmail.com. Send donations to: CCUW, P.O. Box 171, Grayling, MI 49738. With a little help from all, we can make a big difference. LIVE UNITED! It’s time for a Fun Run for United Way! Let it SNOW! Route: Leisurely ride begins after lunch and check-in at Swamp II, stopping at each host location, ending with dinner and fun at Dead Bear Brewery. If the weather doesn’t cooperate, the ride will take place by personal vehicle. Non-sledders – all ages encouraged to participate by car. DUE TO A POOR RESPONSE, WE HAVE CANCELLED THIS EVENT FOR MAY 31, 2014. WE HOPE TO HOLD THIS EVENT IN THE FUTURE, POSSIBLY IN MID-AUGUST. WE APOLOGIZE FOR ANY INCONVENIENCE. It’s time for Moms to go through all their kids’ stuff and get ready to sell it or swap it at the Crawford County United Way’s Mom2Mom Sale & Swap, a new fundraiser for the organization. Mom2Mom Sale & Swap will be held on Saturday, May 31, 2014 from 10:00 a.m. to 4:00 p.m. in the old Hometown Furniture Store located at 2436 S. I-75 Business Loop in Grayling. Admission will be $1 for adults. “We are expecting about 60 Moms to take advantage of this opportunity to sell or swap their clean and gently used baby, toddler, and juvenile clothes, toys, games, books, sports equipment, and furniture, to help everyone with the cost of providing their children with the things they need for a healthy and happy childhood,” said Cheryll Ruley, Executive Director. Building owner, John Cherven, has been generous in allowing several organizations to use the vacant store for many fundraisers, including the Crawford County Commission on Aging, River House, Inc., Grayling Regional Chamber of Commerce, and for pre-race events for the AuSable Canoe Marathon. “We are hoping this event will really help our local Moms move those things they no longer use and pick up some things their kids need without the high cost of buying new,” said event organizer, Anne Tuck, who presented Ruley with the fundraising idea following the very successful Merry Marketplace & Craft Show last November. That event helped CCUW raise much needed funds while helping local small business owners, all under one roof. The combined effort to come up with an event name, colorful posters and graphics by Kim Ruley, promotion by many local businesses and individuals, and Cherven providing a venue, has fulfilled the organization’s slogan: LIVE UNITED! Each Mom will have a 10 x 10 foot space to set up for sale or swap of her kid stuff. Booth fee is a donation of $20 to CCUW. Registration form can be found at www.crawfordunitedway.org here: Mom2Mom Sale Contract 2014 or a form can be requested via email to crawforduw@gmail.com. The form contains all the details about participating in the event. Deadline for paid registrations is May 23, 2014. Each participating Mom is also asked to donate an item to be given to the Crawford County Baby to Toddler Closet to help those in need. All proceeds from booth fees, admissions, and any drawings go to Crawford County United Way. Keep up with this event and all CCUW activities at www.facebook.com/CrawfordUW. Tax deductible donations are encouraged. Send check to: Crawford County United Way, P.O. Box 171, Grayling, MI 49738.